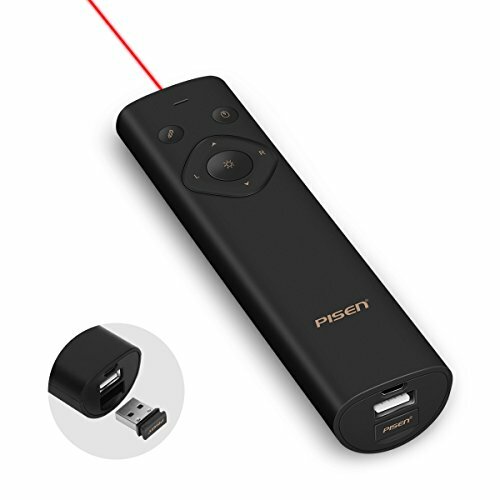 Presentation Remote, PISEN Pointer Presenter Rechargable 2.4GHz PPT Clicker, Multi-Function Fly Mouse 2500mAh Power Bank Wireless Presenter Remote for Computer, MacBook, Projector (Black) by PISEN at Pacs BG. MPN: PE -AIR MOUSE. Hurry! Limited time offer. Offer valid only while supplies last.